Today, we are going to look at two closely related ways of battling back-to-back: offering encouragement and recalling the truth. When our circumstances become overwhelming, the enemy attempts to blind us to the truth. Discouragement takes hold. Soon we forget everything God has promised us. We forget who we really are. We even stop believing that God is good. Whenever difficult circumstances threaten to demoralize our spouses, we can encourage them to hold fast to the hope they have in God.When I sense discouragement in my husband, I can try to remind him of who he is in Christ and the glorious inheritance that awaits him. This principle goes hand in hand with the discipline of recalling the truth. Once a person agrees with the enemy’s propaganda in an area, he or she can no longer recognize it as a lie. Such “agreements” can become the foundation for enemy strongholds in that person’s life. We all need trusted allies who will come alongside us and gently point out how we are being deceived, reminding us of the truth so we can break such agreements and tear down their resulting strongholds. Sometimes, being reminded of the truth can prevent us from pursuing a sinful or selfish plan of action, as was the case with Abigail and David in 1 Samuel 25:2-42. Abigail’s husband, Nabal, had refused to welcome David’s men to the feast when Nabal was shearing his sheep. For months, they had provided him with a valuable service by guarding his flocks in the wilderness, but instead of rewarding them, Nabal jeered at David. He called him just another servant who had rebelled against his master. David’s men went away angry and insulted, and their leader swore to wipe out every male in Nabal’s household. When her servants reported to Abigail how David’s people had been wronged by her husband, she hurried to prepare a large gift of food and rode quickly out to intercept the enraged warrior. Abigail reminded David of who he really was: the Lord’s anointed, who would soon become the king. When she reminded David of this truth, he was able to recognize that fulfilling his plan to take vengeance on Nabal and his household did not fit with God’s destiny for him. Abigail told David to let God be his avenger, and this encouraged him to do the right thing instead of allowing wrath to govern his actions. David blessed Abigail for stopping him from taking vengeance by his own hand. He blessed the Lord for sending her to remind him of the truth, when he had lost sight of it. So many times in life, I think we desperately need someone to expose the lies of the enemy and remind us of the truth. If we can learn to do this for one another within our marriages in a spirit of humility and unconditional love, rather than judgment, our ability to recognize and resist the schemes of the enemy will increase exponentially. We will truly become stronger together than we could ever be alone. Stay tuned this week for two more practical habits that can empower you to effectively fight back-to-back with your spouse. 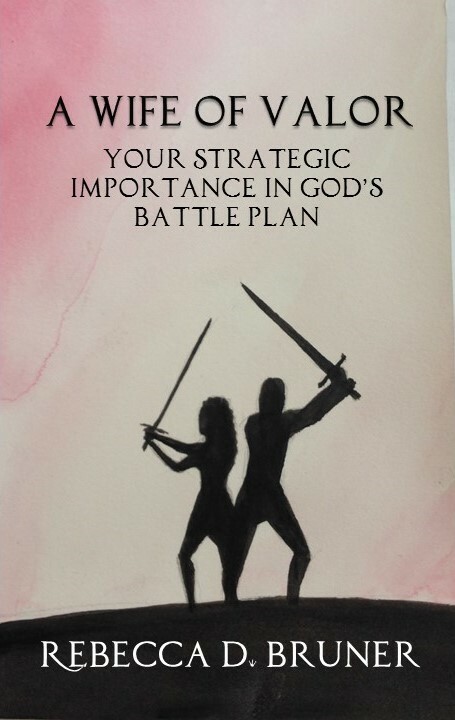 Adapted from my upcoming book A Wife of Valor: Your Strategic Importance in God’s Battle Plan. This entry was posted in crowd funding, Encouragement, Indiegogo, Love, Marriage, Recalling Truth, Valentine's Day, Wife of Valor, Writing and tagged Enemy Strongholds, Indiegogo, Offer Encouragement, Recall Truth, Valentine's Day, Wife of Valor. Bookmark the permalink.